On November 7 1998, Sky Fits Heaven peaked at #41 on Billboard’s Hot Dance/Club Play chart in the US. Although the song was not released commercially or promotionally in North America, remixes by Sasha and Victor Calderone released abroad on the Drowned World/Substitute For Love single managed to garner enough club play in the U.S. to merit a six-week run on the chart (plus one week on the Hot Dance Music Breakouts chart). 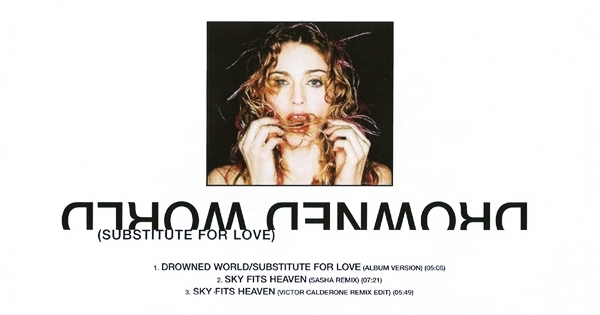 A remix video of Sky Fits Heaven (Sasha Remix) featuring outtakes from the Ray Of Light music video was serviced to select clubs, and this non-traditional form of promotion may have contributed to its chart placement. Sky Fits Heaven-what a happy and beautiful song by Madonna! It’s about how we travel down our own roads because that’s the grace and beauty of life!